Real Madrid and Celta de Vigo face at Estadio Santiago Bernabéu, in a match for the 28th round of the Primera División. 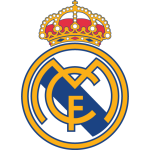 In the last league head‑to‑head, played in 11‑11‑2018, Real Madrid got an away win by (2‑4). The head‑to‑head history at this stadium, favours the home team, since in the last 5 head‑to‑heads they won 4 and lost 1. Accordingly, in the last head‑to‑head played at this stadium, for the Primera División, on 12‑05‑2018, Real Madrid won by (6‑0). G. Bale (13' and 30' ), Isco (32' ), A. Hakimi (52' ), Sergi Gómez (74' Autogolo) and T. Kroos (81' ) scored the goals of the match for Real Madrid. Both teams register significant differences between home and away results, so the home/away factor is worth atention. After 16 wins, 3 draws and 8 losses, the home team is in the 3rd position, havinf won 51 points so far. In the last match, they have won in an away match against Real Valladolid by (1‑4), after in the previous match they have lost (0‑1) at home, against Barcelona. This is a team that usually gets better results in away matches than at home, since in the last 30 matches they register 11 wins, 2 draws and 2 losses in away matches, with 33 goals scored and 18 conceded; against 9 wins and 6 losses at their stadium, with 29 goals scored and 19 conceded. In the last 10 home league matches Real Madrid has a record of 5 wins, 1 draw and 4 losses, so they have won 16 points out of 30 possible. The most recurrent result at half‑time in their home league matches was the 1‑0 (6 out of 13 matches). They haven't been very strong defensively, since they have suffered goals in 8 of the last 10 matches, but their offense has scored frequently, since they have scored goals in 8 of the last 10 matches for this competition. In their home matches for this competition there is a tendency for few goals, since 9 of the last 13 matches have ended with Under 2,5 goals. In 27 matches for this competition, they have conceded the first goal 11 times and have only turned the score around in 2. there are 2 periods that stand out in the last 13 home matches for this competition: they have scored 7 of their 19 goals between minutes (76'‑90'); they have suffered 3 of their 8 goals between minutes (0'‑15'). Real Madrid come to this clash motivated after a 1-4 win at Valladolid: Varane, Benzema and Modric scored the goals of the win. The hosts' greater strength lies in their ability to conduct their offensive attacks through quick transitions. The Frenchman Benzema is the intervening responsible for putting the defensive opponent in the direction, and his highest quality is the finalization. In the front can play Ceballos, Benzema and Asensio. Coach Zidane will not be able to count on Bale, Marcos Llorente, Lucas Vázquez, Daniel Carvajal and Vinícius Júnior for being injured. Confirmed Lineup: K. Navas, Álvaro Odriozola, Sergio Ramos, R. Varane, Marcelo, Isco, L. Modrić, Marco Asensio, T. Kroos, K. Benzema, G. Bale. The away team is currently in the 18th position of the league, with 25 points won, after 6 wins, 7 draws and 14 losses. In the penultimate match, they lost in an away match against Eibar, by (1‑0). In the last match, they lost in a home match against Real Betis, by (0‑1). This is a team that usually makes good use of the home advantage, stronger with the help of its supporters, since in the last 30 matches they register 2 wins, 4 draws and 9 losses in away matches, with 19 goals scored and 30 conceded; against 4 wins, 5 draws and 6 losses at their stadium, with 20 goals scored and 20 conceded. 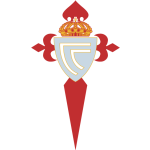 In the last 10 away league matches Celta de Vigo has a record of 1 win, 2 draws and 7 losses, so they have won 5 points out of 30 possible. Defensive consistency hasn’t been their best feature, as they have conceded goals in 8 of the last 10 matches, but their offense has scored consistently, as they have scored goals in 7 of the last 10 matches for this competition. In their away mathes there is a tendency for goals, since 9 of the last 13 matches for this competition have ended with Over 2,5 goals. In 27 matches for this competition, they have conceded the first goal 14 times and have never been able to turn the score around. Celta de Vigo come to this clash unmotivated after a 0-1 home defeat to Betis. The visitors' greater strength lies in the ability to create goal opportunities through direct play. It should be noted that Celta de Vigo present a game style in ball possession, attacking by the central aisle through constant triangulation and short passes. The Uruguayan Maximiliano Gómez is the player responsible for putting the opposing defensive in sense, being his greater quality in finding open spaces to explore. The coach will not be counting on Iago Aspas for being injured. Confirmed Lineup: Rubén Blanco, David Costas, Kevin Vázquez, N. Araújo, Juncà, O. Yokuşlu, Brais Méndez, S. Lobotka, S. Boufal, M. Gómez, P. Sisto. The most likely scenario for this clash will be the occurrence of multiple goals. In addition to the return of coach Zidane, Real Madrid can have an extra motivation after winning, by interesting numbers, the last game to count for La Liga. That is, it is expected that Real Madrid put in the field all their favoritism and take advantage of the defensive weaknesses of Celta de Vigo.